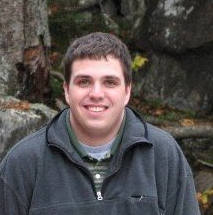 Toby Fusco has been teaching at Plymouth State University since 2006 for the Meteorology and Geography departments. He is originally from Portland, Maine and attended the university from 2002 to 2008 earning both a Bachelor’s and Master’s Degree . The region’s unique weather and diverse landscape frequently are incorporated into the weather, geography and environmental courses he teaches at PSU. His research interests include physical climatology, micrometeorology and ecology. Toby teaches a variety of physical science and STEM courses at Winnisquam Regional High School in Tilton, New Hampshire. In addition to teaching college courses at PSU, Toby has also taught at University of New Hampshire – Manchester, Boston University and Salem State University. Toby is a member of the American Meteorological Society (AMS) and the Association of American Geographers (AAG). He is also an avid New England sports fan. In his spare time, he enjoys spending time with his friends and family and spending time outdoors camping and hiking. Fusco, A.R. 2008. New England Winter Severity Indices, Masters Thesis, Plymouth State University, 212p. Fahey TJ, PH Templer, BT Anderson, JJ Battles, JL Campbell, CT Driscoll, AR Fusco, MB Green, KK Kassam, NL Rodenhouse, L Rustad, PG Schaberg, MA Vadeboncoeur. 2015. The promise and peril of intensive-site based ecological research: insights from the Hubbard Brook Ecosystem Study. Ecology 96: 885-901.